This one is adorable and made really differently but worth a try.I love the way it turns out! That should keep you busy for a bit.lots of ideas for different ways to make them so maybe she could start with things she has to make them and once she sells some she could buy sinew and things to make different ones. 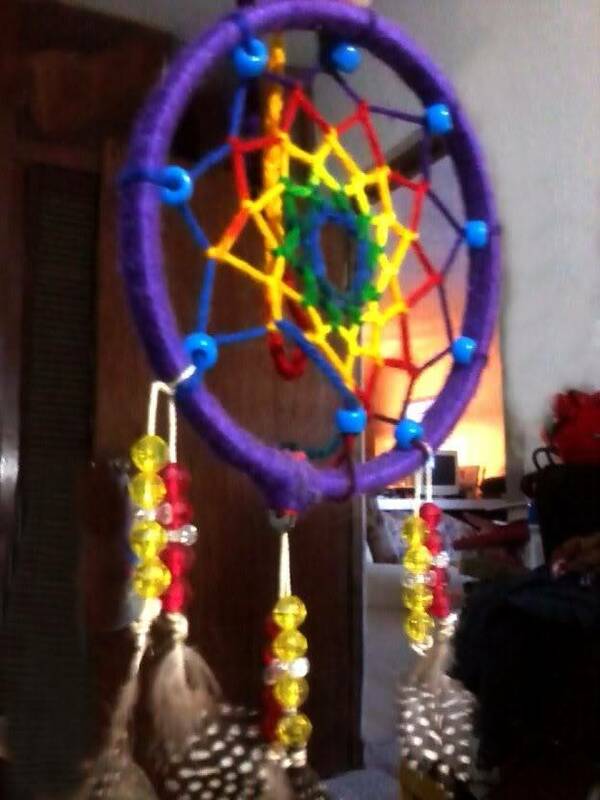 Oh I can make dreamcatchers practically with my eyes closed, LOL. I used to teach my Girl Scout troops how to make them and also taught them everything related to the meaning of dreamcatchers. Once I even did a painting of a dreamcatcher. I love dreamcatchers. Let's see if I can find some pictures of them. But just the same I checked out all the links you posted.